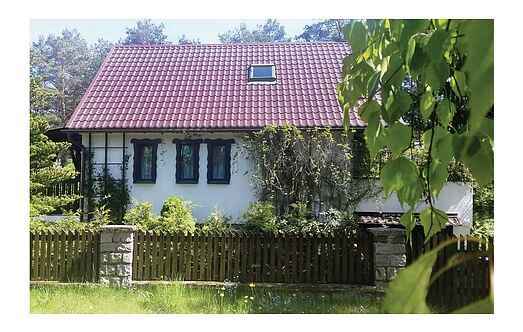 Find a vacation home to rent in Kościerzyna County from our list of vacation rental properties. Campaya has over 11 vacation homes available in Kościerzyna County, which give you the possibility to locate a unique accommodation in Kościerzyna County which completes your check-list in search for the perfect self catering vacation apartments in Kościerzyna County or vacation villas in Kościerzyna County. This is a well-landscaped holiday home in the town called Konarzyny. The house is modest and practically furnished. This conveniently furnished holiday home offers a wonderful view and stands on a hilly ground in Lipusz. A boat and bicycles are available on the property. This huge holiday home is located in the town called Kościerzyna, which is about 30 km east of Bytów and 50 km towards southwest of Danzig in the Kashubian. This spacious holiday home is located on the outskirts of a village on a small hill. The property is fenced. The home is attractive with modern and very practical furnishings. This cosy and modest holiday home is located right on the water and on a fenced forest ground in the town called Lubiana. This cosy house is on a fenced and shared natural ground. The rowing boats and canoe are included in the rental. This location is ideal for undertaking interesting trips. This attractive holiday home stands on a fenced, shared ground. The home is modest but practically furnished. Bicycles are provided on request. The holiday home stands on a fenced ground and has beautiful furniture. Enjoy the sunlight on beautiful summer days or experience cosy barbecue evenings on the huge terrace. For a relaxing holiday This holiday house by the owners has been specially equipped for the guests.